Less cooking – more eating. Win win. IF THERE’S ONE simple trick to saving and making life easier for yourself on a daily basis, it’s surely being more organised with food. From not throwing food that you’ve bought in the bin because you’ve gone out to eat too much that week, to saving money by bringing lunches in to work, there’s lots of savings to be made if a little effort could be made. Now there are many many ways to do this – and all of them involve a little thought and organisation, but the rewards will definitely be worth it. To help you out, we’ve rounded up six recipe ideas that taste just as good (if not better) the next day – so lunches are sorted, if you even have any leftovers. What’s a freezer burrito, we hear you ask. Well, it’s a burrito that you can freeze and reheat in work or for dinner some night when you don’t feel like cooking a meal from scratch. This recipe is vegetarian, but you can of course make a version with shredded chicken, carnitas or beef if you fancy something…meatier. This is one of those great recipes that take a little time on Sunday, and load up your freezer for a week or two – you get 8 burritos, use them how you see fit. This is a quick (30 minutes) dish that has so much cheesy creamy goodness to it and reheats wonderfully well – if you even have leftovers. It’s also a dish that you can use other leftovers to make it if you have them – roast chicken from a Sunday lunch for instance, and deliberately (or not) cooking too much pasta some day. And you can bulk it up with some veg if you feel like making a slightly more nutritious (albeit slightly less authentic) version. Here’s a nice alternative from traditional chilli con carne – the chicken makes for a lighter version. This one is quite spicy so feel free to adjust the spice as you see fit. It’s really easy to reheat in a microwave, and oftentimes the flavours are better having in a sense marinated further for the night. Now this sounds like it’s going to be a whole lot more effort than it actually is. It’s another that if you have the various ingredients ready (namely the roasted butternut squash), can be whipped up in no time at all. Of course, leftovers don’t have to be heated and this would make a nice, healthy pasta salad for lunch the next day. 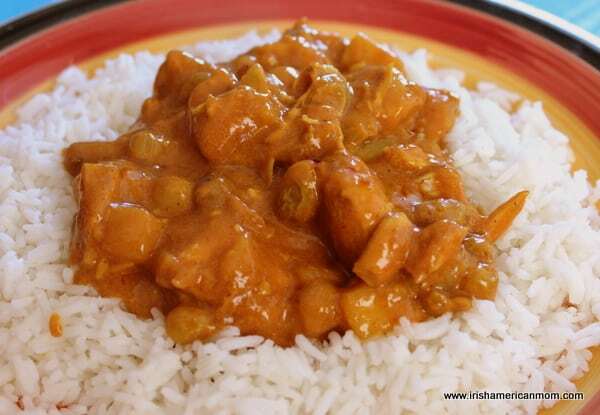 The sweetness of the apple and raisins adds an extra dimension to this chicken curry. It’s relatively quick to cook and another one that reheats handily in the microwave, just make sure if you’re planning on cooking too much rice to have ready the next day to cool it down quickly, keep it in the fridge and generally be food-safe. This is a classic beef stew but in the form of a pie, and we all know that reheating a mashed potato-topped pie only makes it better – especially if you sprinkle a little grated cheese over the whole thing in the last few minutes of cooking. Here’s the recipe, and here’s a gratuitous picture of the mashed potato topping, in case you needed any more reasons to make it. Do you plan ahead in this way? Have any recipes to share? Let us know in the comments below. Email “6 dinners that make lovely lunches the next day ”. Feedback on “6 dinners that make lovely lunches the next day ”.